Signed and dated l.l. corner, "HANS HEYSEN 1923". Connell Nisbet, Look , 'From walls to screens: digitising the Gallery's collection', pg.12-16, Sydney, Oct 2002, 14 (colour illus.). 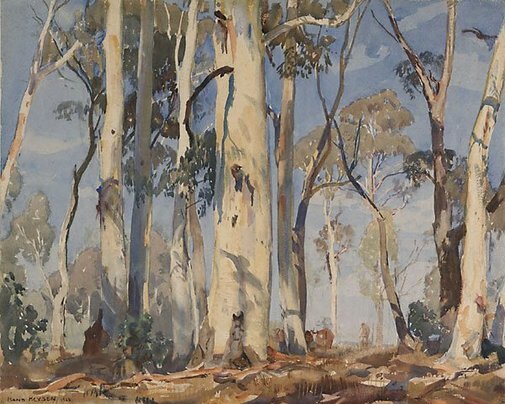 Australian arcady: Landscape paintings from the Art Gallery of New South Wales collection , Sydney, 1983. cat.no. 23 Note no pagination, text reference only. Art in Australia [series 3, no. 5] , Sydney, Aug 1923, 5 (colour illus. ).